Thought your commute to work this morning was bad? Trust us, it was nothing on this. Thousands upon thousands of people returned to work on Tuesday after some time off after Christmas, many of whom no doubt encountered heavy traffic on their way into their place of business. 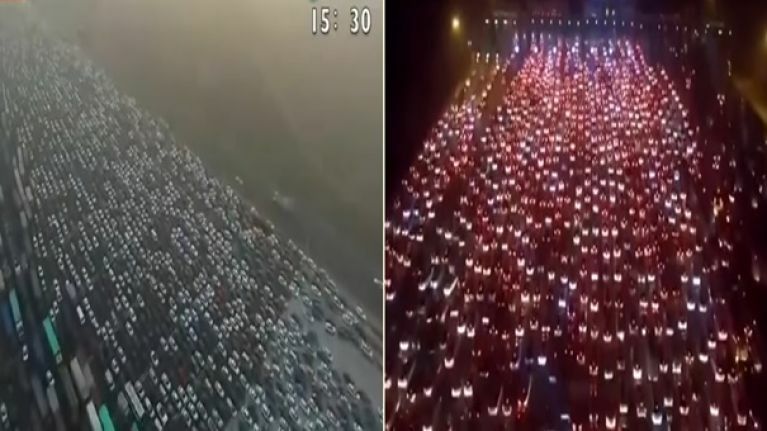 Bad and all as it might have been in traffic blackspots across Ireland, however, we’re pretty sure it was nothing compared to traffic in Beijing as commuters made their way back to the city on Monday. Imagine being stuck in this? It didn’t do much for the smog levels in the city either. Next time you’re complaining about total gridlock on the M50 or elsewhere, maybe console yourself with the fact that it could be worse.